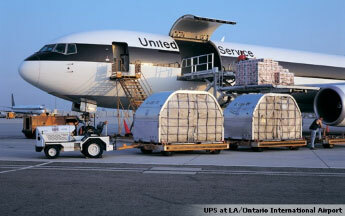 “These investments in UPS’s air and ground network illustrate UPS’s commitment to customers in the Inland Empire and abroad, and are part of an ongoing, network-wide investment the company continues to make in hub expansion and automation"
Reports show that it's not just a question of expansion in size at the airport for urgent shipping but newer technologies will be retrofitted into the facility throughout allowing for increased capacity. Much of the growth is tied to the explosion in Ecommerce and the tight shipping deadlines promised by retailers to customers driving ever increasing demand. The UPS workforce at the Ontario facility is poised to reach 5,000 when the overall expansion is complete.